A student journalist, for a college paper, visiting friends in contemporary London happens upon the scoop of a lifetime. Along the investigative trail, she finds magic, murder, mystery - and perhaps love, with a British aristocrat. A young journalist student, Sondra Pransky, travels from America to England to interview a famous actor. After the not-so-complete interview her friend and she go to a magic show. 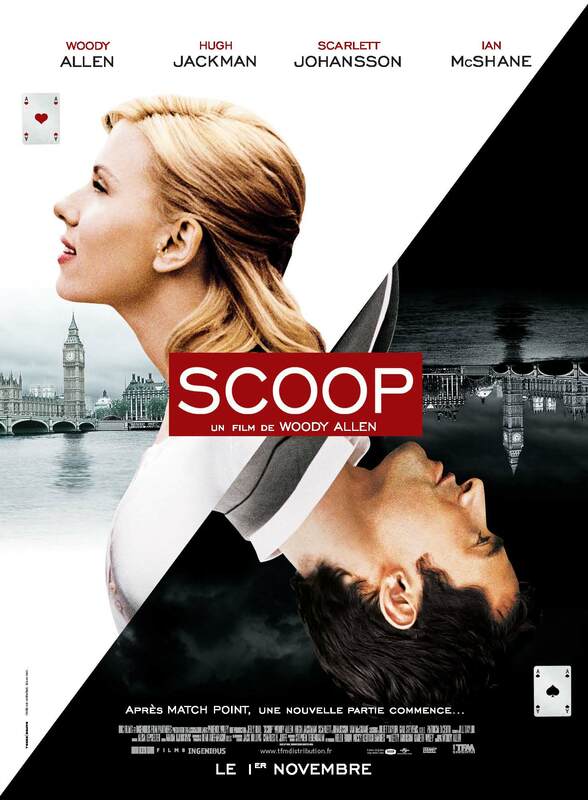 When selected to take part in one of the acts Sondra is contacted by a recently deceased famous journalist who is determined to give her his last scoop. 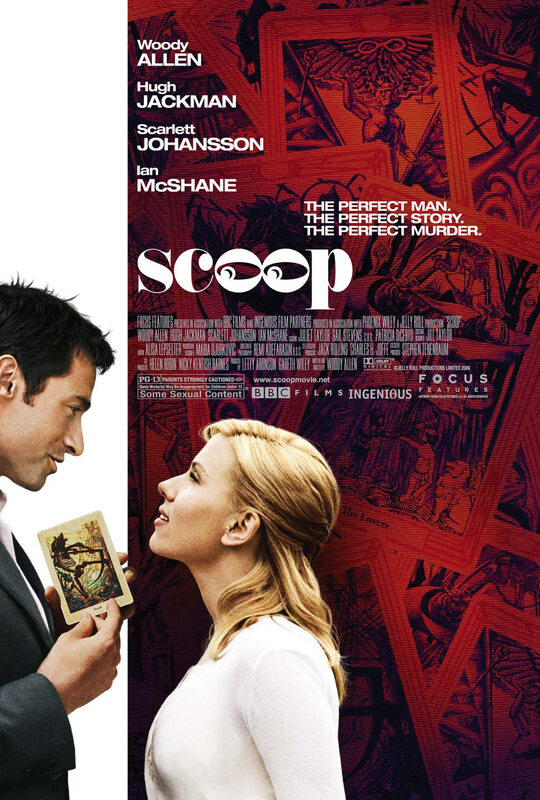 He tells her that the son of Lord Lyman, Peter Lyman, is the tarot card killer. Dragging along Sid Waterman, a kooky magician, Sondra attempts to discover who Peter Lyman really is and if he is a killer. What she doesn't realize is that while she is trying to protect the country of England her heart might be what is really in jeopardy. Very, Very, Funny. 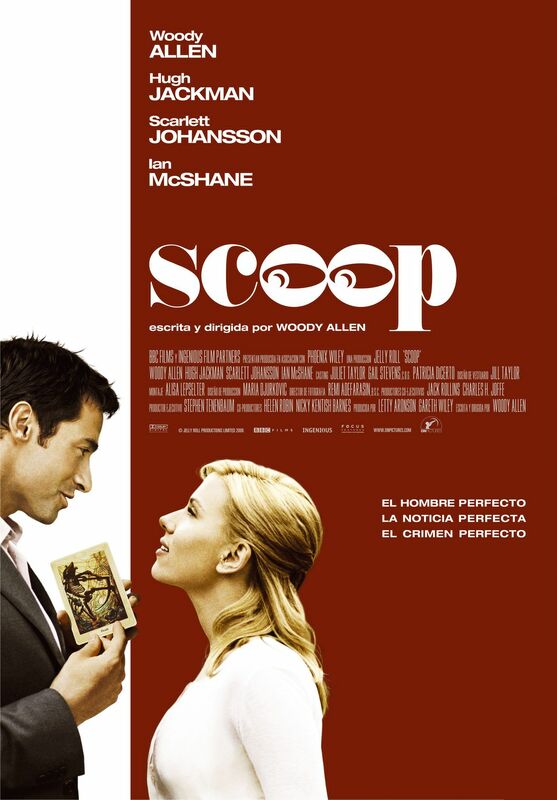 A Great Movie., 28 July 2006 Author: keystone_cop17 from USA "Scoop" is easily Woody Allen',s funniest film of the 2000',s so far. Allen, although finally looking his age, is at the top of his game as low-brow magician Sidney Waterman. His one-liners and demeanor are hilarious. Don',t let the critics sway your opinion. 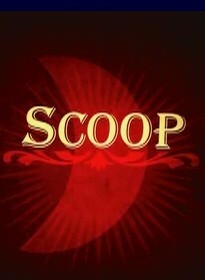 "Scoop" is a top notch "Woody-Lite" picture. The classical music score is an excellent compliment to the action on screen. Scarlett Johanson looks gorgeous in that bathing suit. Jackman is dashing. The cinematography glows. 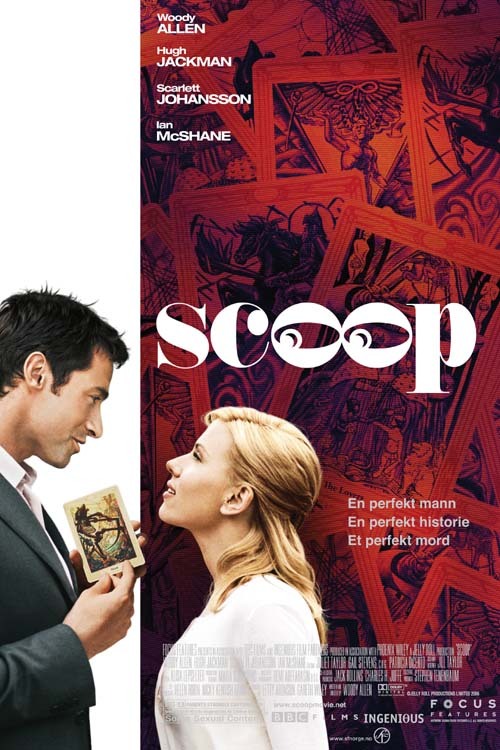 "Scoop" is wonderful escapist fare from start to finish. The last shot of the film alone is worth the admission price.